Free, built-in turn-by-turn navigation is one of the features that gives Android a leg up on Apple and most other smartphone competitors. However, the Windows Phone Mango update could level the playing field for Microsoft’s fledgling OS. WPCentral‘s Paul Thurrott reports that Microsoft unveiled four new consumer features coming to WP7 on the Windows Phone Dev Podcast. We’ve got the list below. Turn-by-turn navigation: We heard rumblings of this in early April at Mix 2011, but it’s good to have it confirmed. We’re guessing that this feature makes use of Nokia’s expertise in navigation. The Finnish phone maker already includes Ovi Maps and navigation with its Symbian phones. When Nokia and Microsoft announced their partnership, Nokia CEO Stephen Elop stated several times that Maps/Navigation were features that Nokia intended to share. 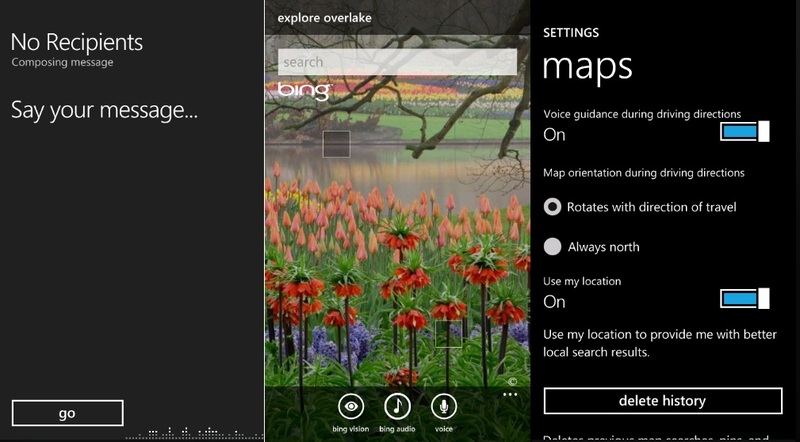 Bing Vision: This app sounds similar to Google Goggles. It will have a barcode and QR code scanner, can pick up Microsoft Tags, and can detect CDs, DVDs, Books, and text using OCR (Optical Character Recognition). Bing Audio: This is an app like SoundHound or Shazam. If you hold your phone up to a song, it will detect which song is playing and provide you links to download it in the Windows Marketplace for music. Initially, it will only launch in the U.S. and some major European countries like the United Kingdom, France, Italy, Spain, and Germany. SMS dictation: A voice-to-text service for SMS messages. It will be very cool, if it works. Is turn-by-turn navigation a big deal to you? It was a deciding factor for some of the Android users on our staff. To learn about more features coming to Windows Phone 7, check out our recap from Mix 2011.